How to debunk the myth that COUNT(1) is faster than COUNT(*) ? The ultimate proof that the database isn't reading all columns, this script outputs 4, not 0. If the RDBMS reads all the columns, why the count still resolves to 4? Shouldn't it be 0 since all the values are null? What makes the COUNT(1) different from COUNT(0), COUNT(2)? COUNT('your blessings')? 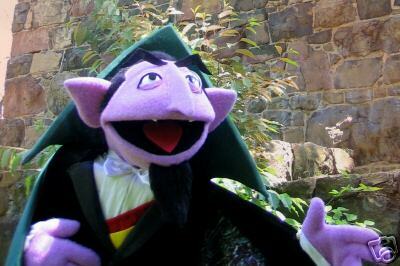 COUNT('Dracula')? Answer: None. This will all output 4 on the above data. There's nothing special about COUNT(1) or COUNT(anyNonNullValues) that makes it different from COUNT(*); there's nothing slow in COUNT(*) as we can plainly see that from the output above, that it don't care whatever the column values are. How can COUNT(1) be faster than COUNT(*) when COUNT(*) doesn't evaluate any values on all columns? And one could argue as well that COUNT(*) is faster than COUNT(fieldhere) or COUNT(1) for that matter, since it doesn't need interpreting any when it count rows. The asterisk inside of COUNT is just a directive for the RDBMS to fetch the cardinality of the set, not to evaluate all columns of the row. And SELECT COUNT(1) is a one trick pony, it's only pleasant and possible to use on one table query only. this will always return at least 1 bid belonging to person, even that person don't have any bids. Not because the parameter is 1, even if you change the parameter of COUNT to COUNT(2), it won't double the rows count. So if COUNT(1) is just a one-trick pony, why others are still using it on their queries? Cargo cult programming perhaps? COUNT(*) is such a common programming idiom to be misinterpreted by the database vendor's engineers; to instill one a confidence that COUNT(*) is not slow compared to COUNT(1), one must visualize that the asterisk inside of COUNT(*)indicates cardinality of the set, it doesn't pertain to columns, full stop. Asterisk on COUNT(*) has no bearing with the asterisk on SELECT *, they just share a common token, i.e. asterisk. Database vendor's engineers are smarter than you and I will ever be, they won't dumbly implement the asterisk inside of COUNT to perform reading all columns, asterisk inside of COUNT indicates set cardinality.